E.N.T. 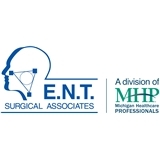 Surgical Associates (Madison Heights) - Book Appointment Online! Our practice, with a convenient location near you, consists of board-certified physicians who are committed to providing you with top rated service and care. Our doctors diagnose and treat using state-of-the-art equipment and the most up-to-date techniques. On staff we also have certified, master level audiologists and specialty-trained allergy technicians. Our goal is to provide every patient with excellent medical care in a sincere compassionate manner.